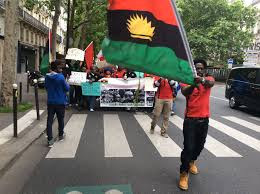 A foundation member of the Ohanaeze Ndigbo, the apex socio-cultural group of the Igbos, Ogbueshi Emma Okocha, has said that the Biafra struggle was a legitimate one, insisting that all states concerned with the demand for Biafra liberation should not shy away from the call for the emancipation of the zone from the shackles of the Federal Republic of Nigeria. Okocha, who spoke with 247ureports in Asaba, the Delta State capital, weekend, explained that though the Biafran agitators have no right to include other states which are not principally Ibo speaking states into the Biafran struggle, he said it was incumbent on leaders of other states, especially Delta, to hold a special consultation among opinion leaders before pulling out or aligning with the Biafran movement for liberation and emancipation. Okocha, who authored ‘Blood on The Niger’, a book which chronicled how Asaba people were massacred during the Nigeria civil war, argued that the minorities in Delta including the Urhobos, the Isokos, the Ijaws and Itsekris would be worse off if they blatantly turned down aligning with the Igbo movement for the call of the Biafra Republic. He said “The Itsekiris, the Urhobos and the western Igbos are already minorities in the structural arrangement of the Nigerian federation. Imagine when a principal part of that federation leaves, it’s going to have a serious impact on us. So, we need to sit down and think. It’s not for us to just wake up and say we are not part of the struggle or we are for Biafra. “For me, let there be enough consultation, The Biafrans have no right to come here and match straight to Government House and say they are demanding for Biafra without consulting the people. At the same time I cannot say I’m not part of them because the Nigerian federation will be structurally against the Midwestern people who are minorities already if a bigger part of the Southern States goes away without the Midwestern states going with them”. 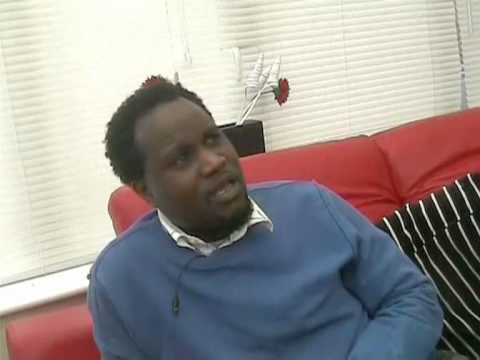 Okocha further argued that “To say I support Biafra or I do no support, it’s not important. The important thing is that we need a referendum or plebiscite to decide where we belong. When is it coming like we had in Scotland? Yugoslavia was broken to pieces into Serbia and others. From USSR, you have Ukraine, you have Russia, you have Georgia and you have Belarus. So, we can’t come here and say whether you like it or not, you must join us, it doesn’t go like that. You can’t say that. “For Anioma Congress to say they are not part of it, that’s thoughtless. What is happening is that if any part of Nigeria manages to secede as the last option, I don’t see how the Idomas of Benue State staying safe in the Nigerian federation if the Igbos secede and leave them for the larger Nigeria. “What is important for us in Delta is that we need to sit down and decide our fate. It’s not for these mushroom organisations, Anioma group or Isoko group to decide, they don’t understand what is going on. “There should be an opinion leadership conference in Asaba so that we decide where we should go because if Biafra goes without we, in Delta, joining them, it will have a serious impact on us. We cannot stay alive in another federation. As a minority already, we will be a silent minority forever”. Following the struggles which Nnamdi Kanu had fought with the federal government of Nigeria, Okocha said Kanu has now become the leader of the Igbo people, noting that Igbos do not elect leaders but their leaders emerge the struggles and the battles they won in their days.